Summer is here and with that, tide pool programs at Yaquina Head have culminated. It was a successful Friday with sunny weather and a -1 low tide to top it off. The catch, Yaquina Head interns had to be at the office at 5 a.m. for a 6 a.m. five-hour long program. While exploring in the tide pools, we found several Gumboot Chitons, three Sunflowers Stars, Sea Lemons, and False Sea Lemons, and even a Burrowing Cucumber! My group of students were fascinated and so was I! After tide pools, students were broken up into three groups rotating between bird watching, Hiking Salal Hill ( a hill from which you can get a 360 view of the site), and lighthouse tour. I led the birdwatching station where for the first time I tried out ethograms as part of the program. These worked extremely well, especially for 6th graders because they were able to focus on a few birds and watch their behavior carefully. Students left being able to identify and speak about the life history of Common Murres, Pelagic and Brandt’s Cormorants, Brown Pelicans, and Bald Eagles. It was a pleasure for me to be able to talk to the students about the research work that I have been involved with relating these birds. At the same time I think it made it more valuable to them and sparked their interest more in the birds were observing. Now, instead of doing mini bird programs, I will be doing extended bilingual bird interpretation every Sunday for eight weeks starting June 29th. 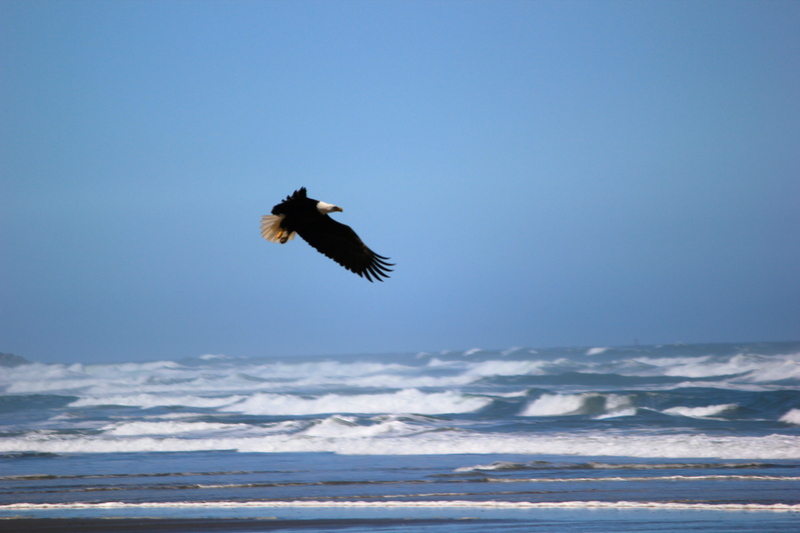 This bilingual interpretation will involve all wildlife that can be found at Yaquina Head, but birds will be a big focus. One hour of this four-hour shift will involve an interactive table with different activities where kids will be able to have fun while learning. On my days off of that, I will continue to be working with the Oregon State University Avian Ecology lab at Hatfield Marine Science Center. Common Murre surveys have been going extremely well, but not for the murres. They have been constantly getting terrorized by Bald Eagles. Juvenile Bald Eagles have caused most disturbances observed which has brought more secondary predators on the plots monitored. With more inexperienced eagles causing the murres to evacuate rocks, there is more opportunity for Western gulls to take their eggs and this is what has been observed. I love the experience that I am getting in the field and in the lab, it is very interesting to see how the story of the common murres is unfolding. It is like a reality TV show that I just cannot wait to know how it will end. Will the murres make it? 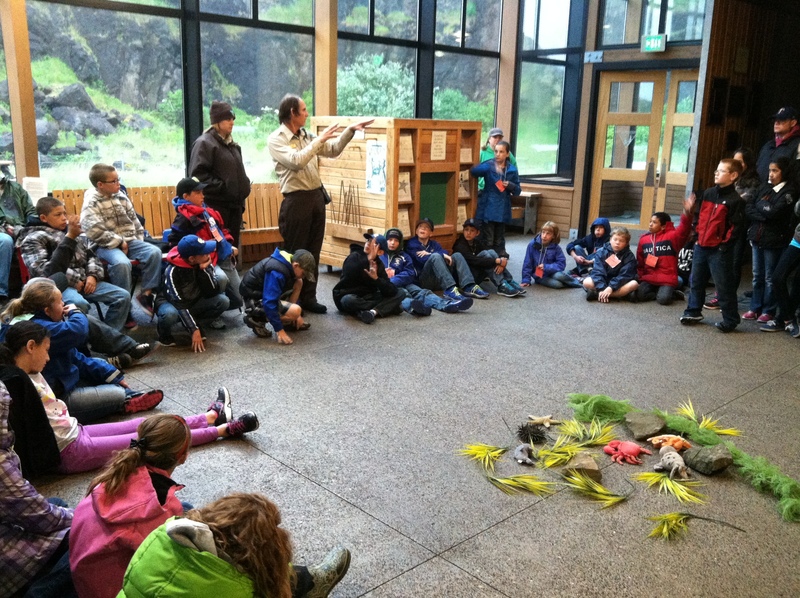 or will their colony at Yaquina Head fail? Stay tuned.